SANTA FE, NM – Driving north from Santa Fe on Highway 285, a stadium-like structure appears perched above the left side of the road. 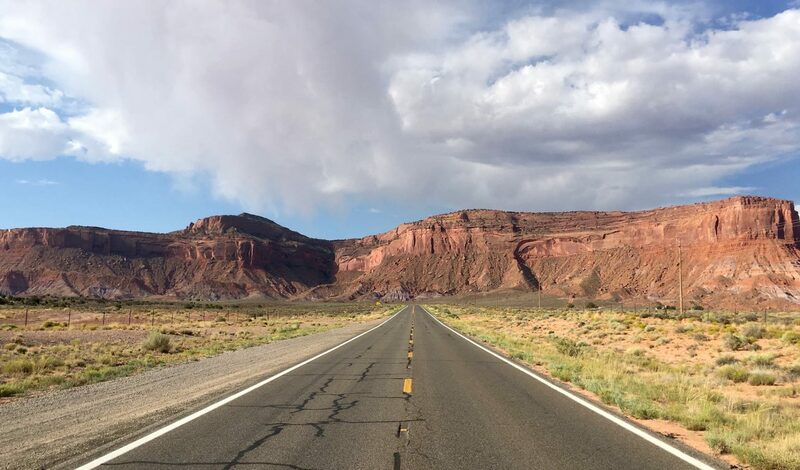 Turn off at one of the two marked exits, pull into one of the tightly-packed parking lots, and soon you’ll encounter small groups of tailgaters beside their crossover SUVs and Subaru wagons. In most cities, this would be the preamble for an NFL football game, but here, open-air opera is the star attraction. While there’s no confusing the trappings of Santa Fe Opera for those of the gridiron – fancy attire and champagne glasses substituted for team jerseys and face paint – the hilltop setting gives the company a dramatic presence in this desert region (far more than the roadside casinos to the north). 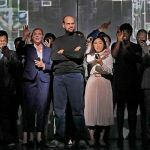 This year, the company drew added attention with the premiere of the one-act opera The (R)evolution of Steve Jobs, which features a score by DJ/composer Mason Bates and a libretto by Mark Campbell. While nearly every Santa Fe season brings a noteworthy premiere, this dramatization of the life of Apple co-founder Steve Jobs was covered widely in the technology press, including by Wired, CNET, CNN Tech, Gizmodo, The Verge, The Mac Observer, Apple Insider, and Cult of Mac. 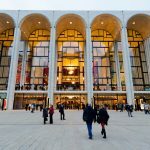 Major U.S. newspapers sent writers as well, and while there was no broad critical consensus, most all noted the enthusiastic audience responses, which was certainly the case for the sold-out final performance, on Aug. 25. Many under-50 (and under-40) people were in attendance and documented their visit on their Apple devices. 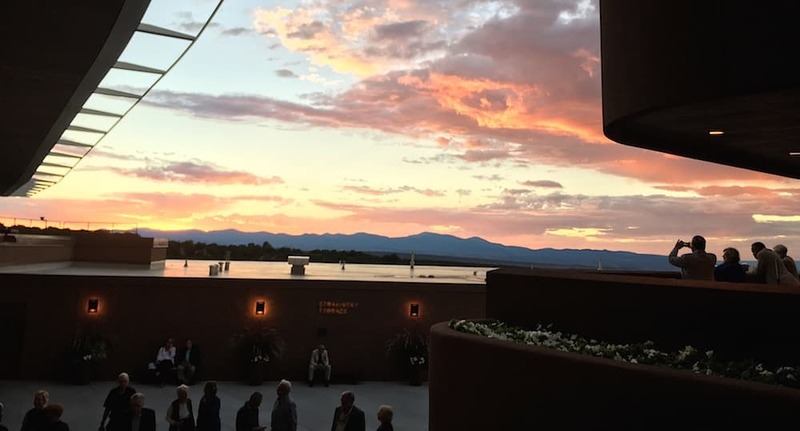 The sun sets over Santa Fe Opera on Aug. 25, 2017 (Photo: Brian Wise). The plot – not authorized by the Jobs estate or Apple – is drawn from previous accounts of his life, and jumps around in nonlinear fashion, starting in the garage at the Jobs family home in Los Altos, CA, where the young Steve’s father gives his son a workbench for his 10th birthday. From there, 18 pivotal moments are presented in the adult life of Jobs (played by baritone Edward Parks, dressed in Jobs’s signature jeans and black turtleneck). 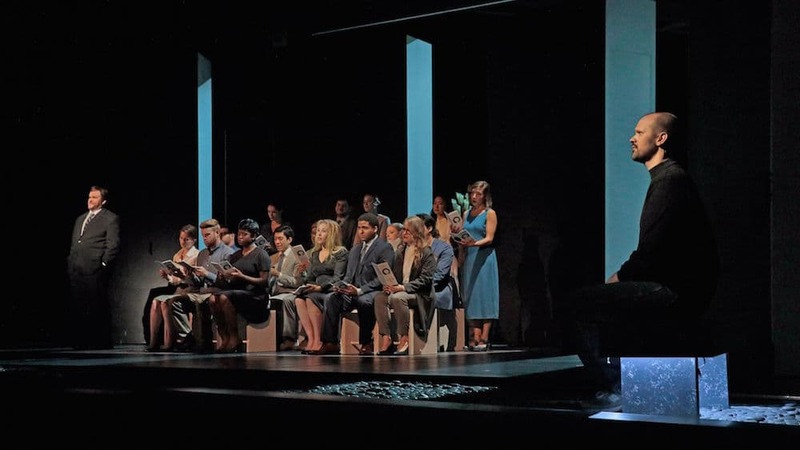 The cast includes a droll spiritual advisor (Wei Wu), incorruptible childhood friend Steve Wozniak (Garrett Sorenson), pregnant girlfriend Chrisann Brennan (Jessica Jones), tolerant wife Laurene Powell Jobs (Sasha Cooke), and browbeaten employees (the Santa Fe Opera Chorus). ♦ Among the most effective moments in Bates’s score are the choruses. A thumping techno beat in the opening chorus reveals his background as a D.J. Individual characters are portrayed not through Wagnerian leitmotifs but colorful sound worlds: The spiritual guru is represented with Chinese gongs and Tibetan prayer bowls; Laurene Powell Jobs has soft string sounds; Woz gets spacey saxophone riffs. Bates himself sat in the pit, working his laptop, its electronic sounds blended with acoustic guitar textures. ♦ While Jobs’s declining health is broadly noted, the opera doesn’t directly address the pancreatic cancer that killed him, and his own inability to follow through on chemotherapy. Did his apparent reliance on the spiritual advisor cloud his judgment on this matter? 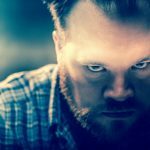 Was he simply too busy – or too controlling – to properly deal with it? It’s a dramatic thread that perhaps went underexplored (see Walter Isaacson’s biography for more). ♦ But the opera avoids one of the biggest pre-performance concerns among Apple devotees: that it would either be a hagiography or blunt takedown. 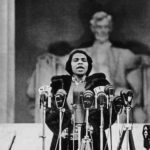 While one could quibble with its structure – and if a linear treatment might have been more dramatically satisfying – the work largely portrays a difficult, troubled genius on a path to greater humanity. 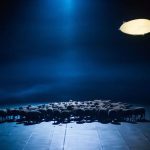 How might this opera be seen in 20 years from now? 50 years? What will Apple, Inc. be at that point? Hard to say, of course, but the production, directed by Kevin Newbury, at this point has a promising future. Runs are scheduled in two of America’s biggest tech hubs: Seattle and San Francisco. Top Photo by Ken Howard, Santa Fe Opera.